So you have decided to make that switch to hosting your own WordPress blog after switching from blogger or wordpress.org. If you check out my Tecky Tuesday from a few weeks back on blogging platforms you might see a reason to switch, or you just might fancy a change. If you are thinking about changing your current blog from either of these two platforms, let me know as I will create a special post showing you how to switch without loosing any of you’re search engine ranking. 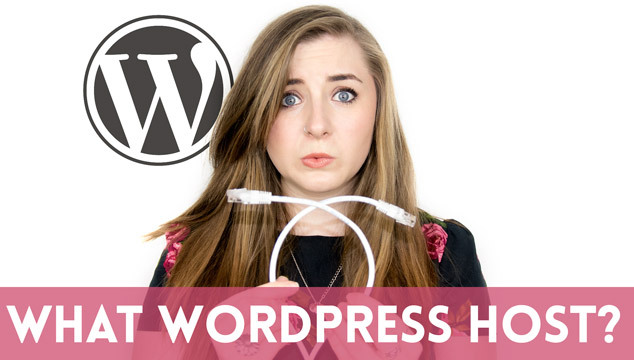 Moving to a self hosted WordPress blog comes with the big issue, where on earth are you going to host it! While it is a really common thing to do, hosting can vastly vary from each place company and the hosting you pick can have an effect on your blog. Lots of downtime = loosing readers, slow loading site = less readers etc. the list goes on. So its important to make a informed decision before making your choice. In this post I’ll be looking at a few different aspect, such as uptime (the amount of time the site will be online), Speed (how fast your blog will load), and price. The post will look at the more commonly used hosting providers and look at why or why not you should use each one. There are no real rights and wrongs, but a post like this might help put you on the right track! I would love to know your thoughts, or anything you might want to add for people about to start a self hosted WordPress blog. This will show some of the top web hosting on the market at the moment. All web hosting is ordered by price, all prices are the cheapest server that they currently have. These web hosts are normally the first place to go when starting with self hosting your blog. When the amount of traffic on your blog starts to increases this can have an effect on the stability of the hosting. They will normally offer you an option to upgrade or to please leave. I personally have never used Bluehost, but they are a very well know hosting company, coming highly recommend by WordPress themselves. They offer 1 click WordPress install making set-up as simple as possible. You really don’t have to know anything in order to get WordPress set-up with this hosting company. It’s as simple as clicking a button then logging into WordPress after it has installed. I have talked with other bloggers and read on internet forums and they seem fantastic for the price! If your thinking about switching to, or trying out WordPress its worth considering Bluehost, As due to the price they are fantastic! Strikeapose was once hosted with Godaddy, I honestly really rate them for everything other than web hosting, for domain sales and DNS they are great. But I have found from my own personal experience that the hosting was great while I had low traffic, when traffic began to get more and more busy the speed of the site dropped and just before I moved my site was offline for about 8 hours in 3 days. The hosting support is also really bad, only real way to get in contact with them was via twitter. Email support I never seemed to get anywhere and the phone support tended to blame me for my downtime or couldn’t see the site offline. With that said I would recommend them for low traffic websites as they are super cheap and you can normally find some great voucher codes or use honey when purchasing domain names. Dreamhost – $8.95 / £5.30 / 17p a day! Dreamhost is a bit more expensive, but the reasons for that are quite clear as the support they offer is quite close to what I currently get with my hosting company. The biggest complaint is a small increase in downtime recently. It seems that in order to stay competitive they might be putting to many servers on the same shared hosting plans. This means speed and uptime have started to suffer a touch. But you can’t really complain when you read about the reviews online, just remember when looking for reviews, most people tend to only write on when they are annoyed with a company. These cost more as they offer things that the cheaper hosting providers cannot. Read the description on each one to find the great additions they have to offer. This is the hosting that this site is on. The support here is amazing, not once did I feel like if I had a issue I couldn’t resolve it. I have only had to my knowledge 3 periods of downtime that in total lasted 3 hours 30 mins. The reason for it was that someone else that shared the server decide to go viral (how rude). WebSynthesis is owned by Copyblogger with the hosting that they offer. They throw in Scribe, a SEO tool. It can really help you sort your site out, and make sure that you reach the most amount of people as possible. They also give you the Pro version of W3Cache! So if you are a big user of that plugin you will love their hosting. Arguably one of the best known hosting companies when it comes to WordPress hosting. It has some of the best support, staging area and caching of your blog. It also has a 60 day money back guarantee! They are really great, and the users couldn’t rate them more. I think at some point I might try it out. But for now I’m happy with WebSynthesis. Mediatemple have recently been sold to GoDaddy, hence one of the reasons they are now very competitive on Premium WordPress hosting. One of the major things that Mediatemple has is that it has a staging area and that the hosting is all “cloud based” they really love to promote this. Go have a look for yourself and see what you think. The staging area allows you to try out a theme or a plugin before you push it to the rest of your site. Its worth noting that MediaTemple handles all the cacheing of pages so there is no need for W3 Cache or anything else. I have been a huge fan of them for a long time, but it is not until recently with the prices dropping that I have considered using them. Thanks for taking time to read this weeks post on top web hosting for your blog. If you personally have any other recommendations please add it in the comments, and I’ll try and include it in the post when I go back to updating it! As always if you have found this post useful please share on Facebook/Twitter. Let me know next week what you want me to cover!